Lenzart provides fast, reliable service for all of your events, including proms, graduations, dance schools, sports events, church groups, and pre-schools. Save hours of work by creating your packages ahead of time. Unlike some labs where you are forced into specific packages, at Lenzart you are free to design your packages in any combinations you’d like. Make your life easier and receive your events ready to deliver! 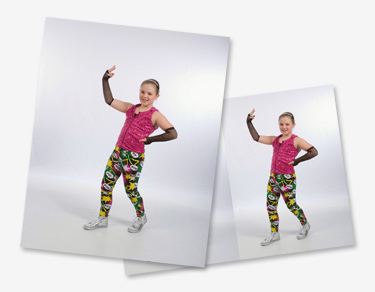 We offer studio logo printing, die cut wallets, individually cut prints, and foldering. All packaged and sent back to you in the same sequence as ordered through ROES. Quality printing, with fast and friendly service! We’ll look at your files and make color and density adjustments to ensure the most consistent result possible for the entire order. 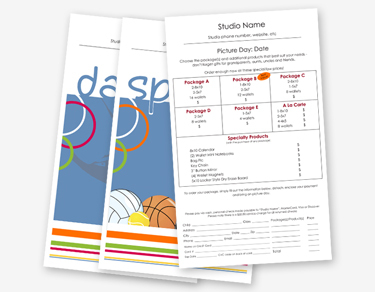 We offer plenty of templates to choose from to satisfy all of your clients. Magazine Covers and Calendars are wonderful add-ons for all of your clients, giving parents the opportunity to proudly display their children’s talents. 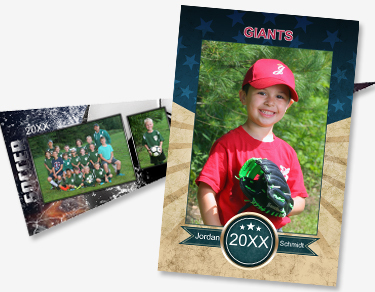 We’ve added a modern twist to a classic by providing our “All Star” and “Splash” designs to pennants that feature an individual portrait along with a group photo. 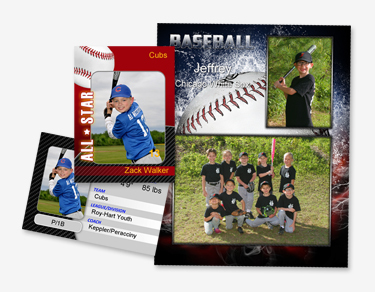 Our posters will enhance your offerings and are a fun way for your athletes to remember a season. 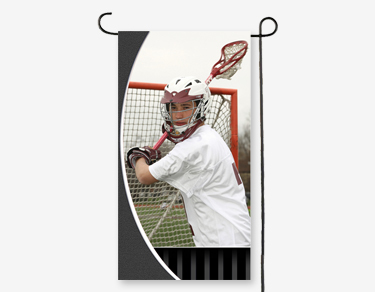 Printed on extremely durable material, flags are a great idea for all your sports and events clients. Everyone will love these unique ways to use (and wear!) their favorite sports and schools photos. 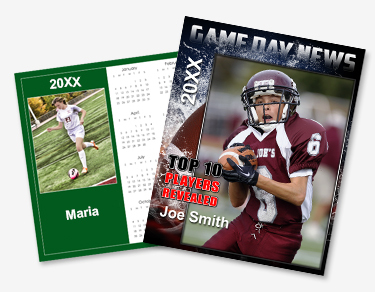 Your clients will be able to easily show off their favorite photos when they get them on buttons and magnets. 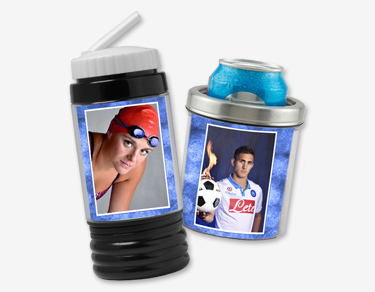 Personalize stainless steel travel mugs, plastic sports water bottles, and stainless steel beverage coolers with special photos for useful itms that are also unique gifts. 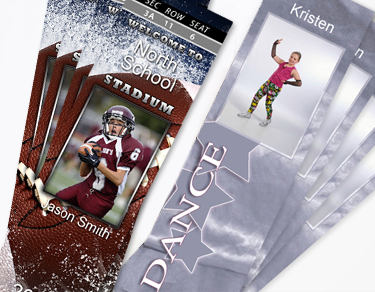 Not only popular products to showcase young athletes, students and dancers, but also perfect marketing items for you simply by adding your studio information. Give your clients a product that’s both fun and functional. Customize with a colorful design, leaving plenty of space for important household notes and weekly grocery lists. We offer so much to choose from – desk organizers to address books to paper weights and more. Our home and office selections will set you apart. 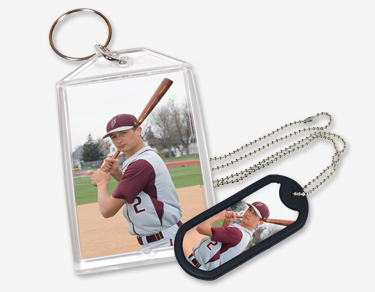 We offer a variety of sizes, with a variety of design options. 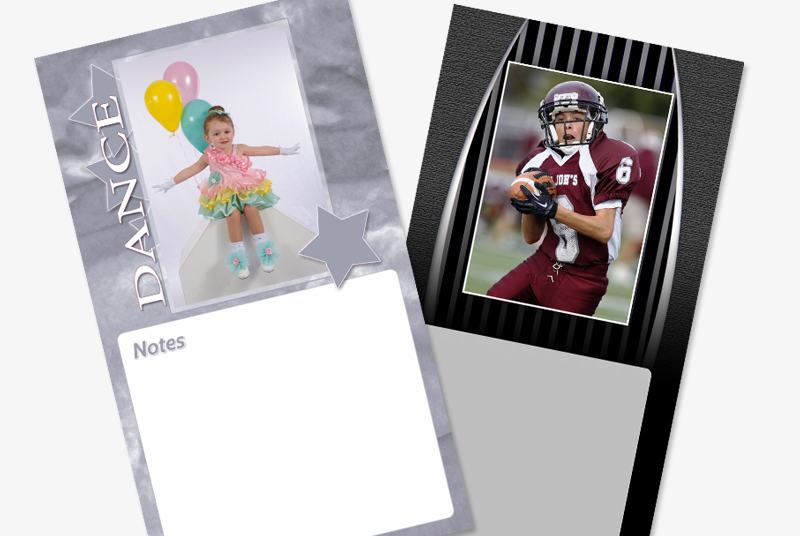 Create your own designs using our free downloadable templates, or have Lenzart create something for you.